When you don’t feel like globe trotting you can depend on North America for a choice of almost endless worlds to explore. The United States and Canada abound with destinations catering to intimate weekend retreats and epic excursions through some of Mother Nature’s greatest creations. For a dip back into history the options along the Eastern United States are plentiful. For a southern flavor there’s the tradition rich choices of Charleston, South Carolina and Savannah, Georgia and New Orleans, Louisiana. While the preserved settlement of Williamsburg, Virginia, the color city of Boston and the Washington DC area, along with its extensive collection of Smithsonian Museums provide a journey back to our colonial beginnings. If your taste leans to the bright lights there’s always the excitement of New York City, the international scene of Toronto, action filled Las Vegas, romantic Quebec City, sprawling Los Angeles and scenic San Francisco with its nearby wine regions of Napa & Sonoma. For the ultimate naturalist experience there are a many notable destinations including famous Yellowstone National Park, Yosemite National Park, the breathtaking Grand Teton National Park, the visual sensations of Arizona’s Painted Desert and the dramatic views of the expansive Grand Canyon. For one of the most unique marathons of natural beauty consider a railroad trip through the Canadian Rocky Mountains where your vacation can include stops at cosmopolitan Vancouver, picturesque Banff and the “Stampede City” of Calgary. Maybe you have even dreamed about reliving the historic Old West. Plan a tour that includes landmarks tributes, boom towns of yesteryear and national treasures. 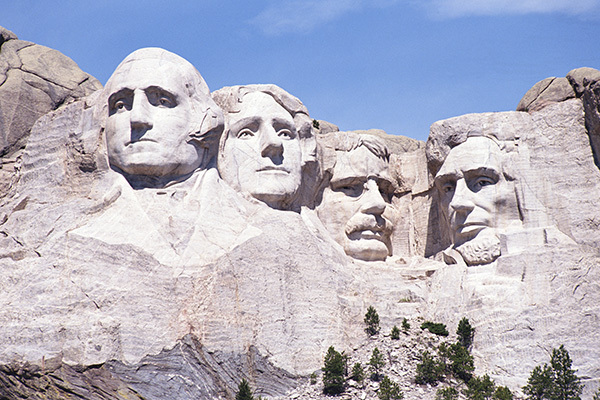 See the mastery of Mount Rushmore and the Crazy Horse Memorials. Horse back ride through the Black Hills and walk the historic streets of Deadwood. Recreate the legendary battle at the Little Bighorn Battlefield and tour the Buffalo Bill Historical Center in Cody. Of course, there’s always the California coastal experience that spans from the cable cars of San Francisco to the shores of San Diego. Along the way visit quaint Carmel, drive the scenic 17 Mile Drive of Monterey past Pebble Beach, cruise famous Rodeo Drive in Beverly Hills, tour the Hearst Castle in San Simeon and take in the dramatic coastline drive by Big Sur. The vacation experiences of North America are many and varied. Whether setting your sights on a brief getaway or extended excursion, there is bound to be an intriguing opportunity that’s right for you!